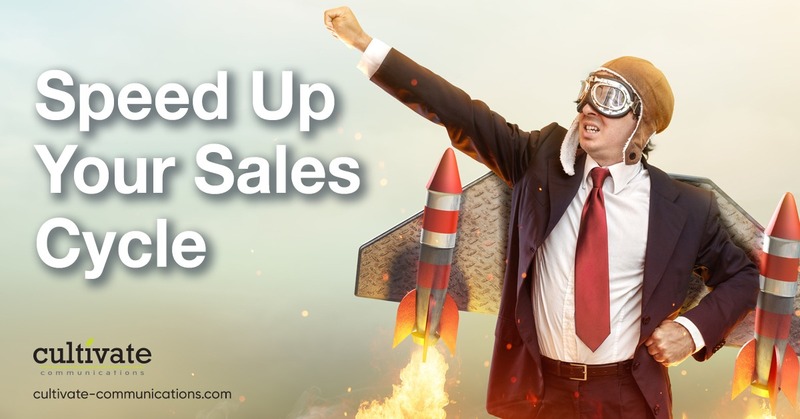 If you align your sales and marketing teams, they become an unstoppable force. Marketing influences how people think and feel, building and nurturing relationships—and relationships drive sales. Period. Your sales team spends 80% of their time with the 20% of the customers who are ready to listen. Your marketing team, on the other hand, spends their time building and nurturing that other 80% of your customer base—getting them ready to open up. If sales are the finish line, marketing is the marathon. Many forget marketing is a long-game strategy. In fact, only 15% of businesses see their marketing teams as primary revenue drivers and yet, without your marketing team, you’re losing the opportunity to influence and grow potential customers into loyal fans and advocates of your brand. It’s all about building long-term relationships. Sales and marketing can’t exist as two separate or misaligned entities. While for many small businesses they’re interconnected pieces of the same department, sales and marketing might still often feel like two separate teams playing different games. It’s important to align marketing and sales teams so they’re working together to speed up the sales cycle. This starts from the beginning. From the moment you onboard a new team member, they should be immersed in your company culture. Take time in your hiring process to discover team members who aren’t only right for the task at hand, but the right fit for the company. Seek team players who are passionate about seeing things from the customer’s perspective. Encourage everyone to have a good time and get to know each other. Don’t underestimate the importance of office get-togethers and activities. Your sales team needs the valuable information only the marketing team can provide. Your marketing team needs to understand the goals of the sales team, so they’re driving toward the right outcome. Sales teams share customer pain points with marketing, the marketing team address those pain points to drive sales. Help your team build solid connections. Like those motivational posters say: it’s all about teamwork. Formalize and solidify your marketing-to-sales handoff process. Only 24% of companies formalize their marketing-sales handoffs, but companies who establish clear, shared responsibilities between marketing and sales see strong improvements in their inbound ROI. This sales-marketing misalignment almost always comes from a lack of communication. Nearly half of sales professionals name “communication breakdown” as a huge problem between sales and marketing teams. Provide plenty of opportunities for teams to share and exchange info—conducting a monthly standing meeting is a great way for teams to keep each other in the loop. Remember sales is all about closing the deal and getting to the finish line. Marketing is the marathon: walking through customer strategy in their shoes—cozying up and getting to know them well; delving into the mind of your customer. Your marketing team understands the demographics of your customer base: who they are and what they need. They understand how to influence the way they think, and how to nurture the relationship (thus, speeding up the sales cycle). Can you think of anything more vital for your sales team to know? In one survey of over 1,000 U.S. sales and marketing specialists, two-thirds of salespeople believed marketers were wasting their time. With awareness building, promotion and branding activities, of course it’s important to keep an eye on your bottom line. But marketing tactics aren’t just in place to give everyone “warm feel-good fuzzies.” Sales-team buy-in comes when they realize the value of marketing. Customers who aren’t ready for cold calls, may still listen to marketing. Marketing is all about building long-term customer relationships—opening the customer up to listen to sales. This value should be clear to your sales team. Bring your sales and marketing teams together on every project, right from the get-go to foster strong communication. Marketing can help sales build their customer relationships. Your sales team has valuable insights from their customer interactions on the front lines. Coordinate your campaigns with your sales team and ensure they’re aware of every promotion and special offer so they can sweeten the pot. Your marketing team should help your sales team look GOOD to the customer. Give them what they need to know. At the end of the day, when you align marketing and sales, they’re both about building relationships to speed up your sales cycle. Both teams support and work together with the customer in mind to ensure you’re always headed toward the right target. It’s a relationship of reciprocity. Keep your teams aligned and cohesive for great returns.